What is infrastructure’s cultural role in the rural landscape? How to adapt static large-scale civil projects into dynamic emergent systems? How to adapt single use infrastructure to multiple uses? How to transform infrastructure into an evident contributor of place? SYMBIOSIS: Two or more dissimilar organisms living together in close association with one another. 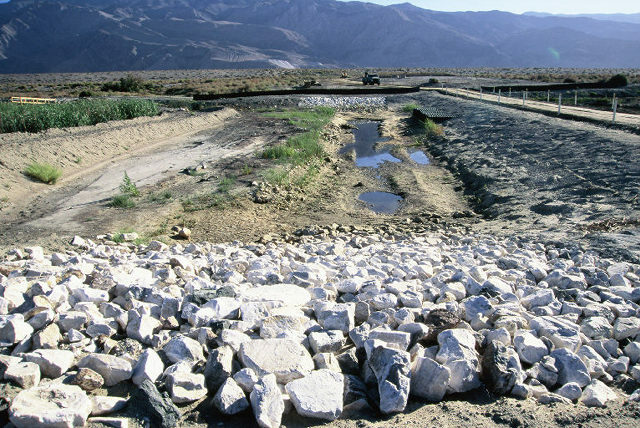 Design a water containment system (levees, dams, channels, and earthworks) to create a low-salinity/deeper pool in the lakebed, fed by the Owens River & mitigation. Nearby, design structures & access network for the inhabitation and the intimate experience of the lake (observation, sleeping, eating, et cetera) that engage the landscape and visitors. 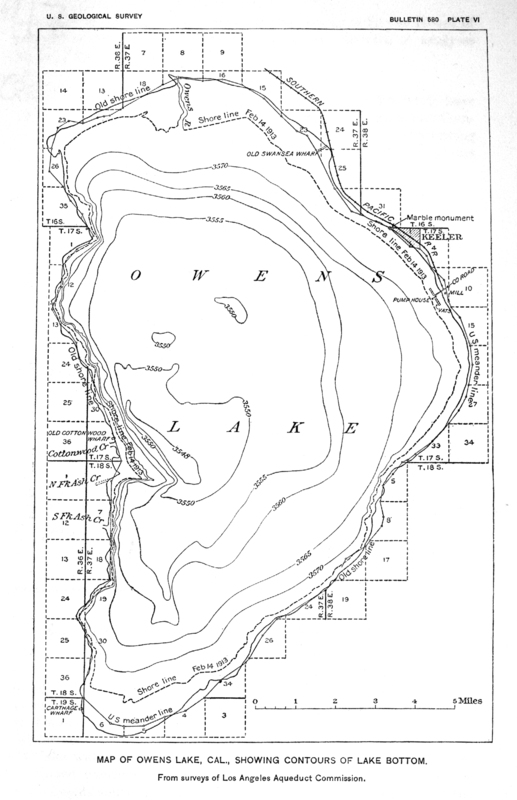 Ephemeral habitation of the Owens Lakeshore and the Los Angeles Aqueduct. Only the Snowy Plover is accommodated within the current mitigation process. No other animal/plant has been considered. How to make this place useable by people and other critters? Here is the November draft of my thesis proposal that was approved by my Committee. Gill, T.E., Cahill, T.A., Copeland, S.A., and White, B.R., 2003. Sand fences for control of wind erosion and dust emission at Owens Lake, CA: 1. 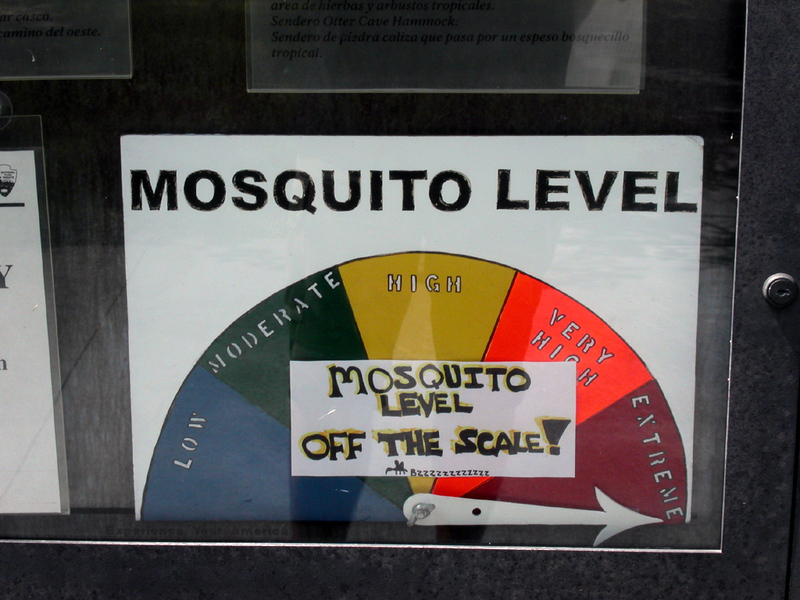 Full-scale testing, field deployment, and evaluation of effectiveness. Proceedings of the 11th International Conference on Wind Engineering, Lubbock, TX, June 2003, vol. 2, pp. 2773- 2780. Cahill, T.A., Gill, T.E., Reid, J.S., Gearhart, E.A., and Gillette, D.A., 1996. Saltating particles, playa crusts and dust aerosols at Owens (dry) Lake, California. Earth Surface Processes and Landforms 21: 621- 639. Gill, T.E. and Cahill, T.A., 1992. Drying saline lake beds: a regionally-significant PM10 source. In: Chow, J.C., and Ono, D.M., eds., PM10 Standards And Nontraditional Particulate Source Controls. Air & Waste Management Association Transactions Series 22: 440-454. 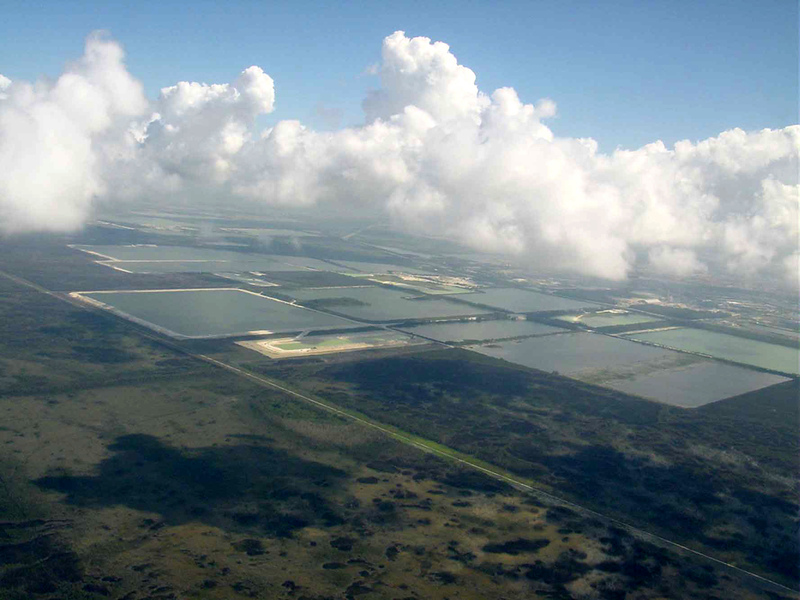 As brought up here, there are several parallels between Owens Lake and the Florida Everglades as site where human intervention into water flows has created unintended ecological impacts. It happens that in Fall 2004, my studio selection gave me a chance to explore the area of the Everglades directly east of Miami. 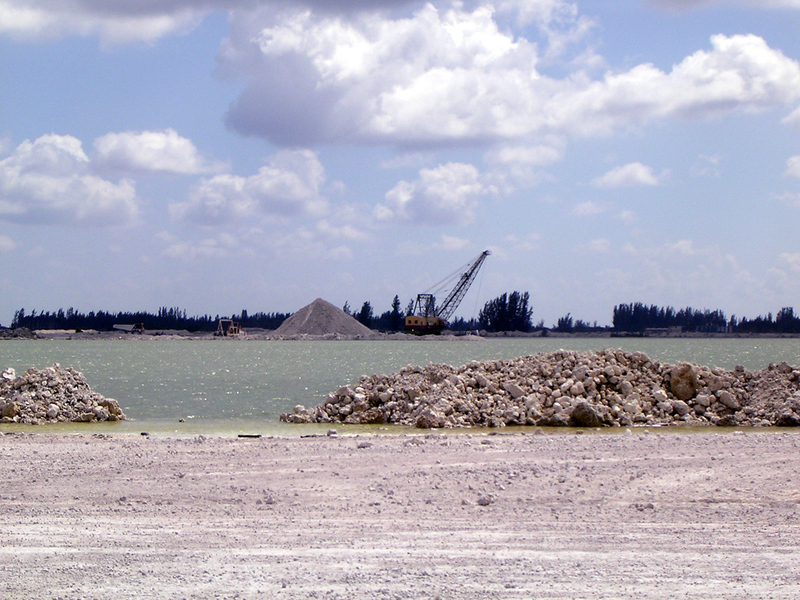 An area known as the ‘Miami Lakes’ after the flooded quarries that chewed up dozens of square miles of everglade limestone and turned it into aggregate for freeways and buildings around South Florida. The studio instructor was Chris Reed of Stoss. That semester wasn’t my best design effort as my thesis research into Owens Lake was my primary preoccupation. I still learned a lot about landscape urbanism and large scale design. Here is final presentation brief: EMERGENT URBANISM. As part of the #Mammothbooks reading of The Infrastructural City, I am pleased to share the reading of my chapter in my Intro to Environmental Design class at the University of Minnesota on April 27th. The lecture audio file is ~30 minutes and has not been edited. w15-1 owens lake v4 of the lecture’s slides – all images are credited or by Barry Lehrman. Ewan, Rebecca Fish; A Land Between – Owens Valley, California. Baltimore, John Hopkins University Press, 2000. Hall, Clarence A., et al- editors; The History of Water: Eastern Sierra Nevada, Owens Valley, White-Inyo Mountains. White Mountain Research Station Symposium, Volume 4. Los Angeles: University of California, 1992. Hoffman, Abraham; Vision Or Villainy: Origins Of The Owens Valley-Los Angeles Water Controversy. College Station: Texas A&M University Press, 1981. James, Greg, Dennis Williams, et al; Green Book for the Long-term Management Plan for the Owens Valley and Inyo County. Bishop, CA: June 1990. Gary Libecap ‘Chinatown: Transaction Costs in Water Rights Exchanges The Owens Valley Transfer to Los Angeles’, (NSF Grant 0317375). [This paper explodes the myth that Los Angeles ‘stole’ the water from the Owens Valley, and why the farmers were eager to sell. Putnam, J. & G. Smith, editors; Deepest Valley: A Guide to Owens Valley, Its Roadside and Mountain Trails– 2nd Edition. Palo Alto: Genny Smith Books/Live Oak Press, 1995. Sharp, Robert & Allen Glazner; Geology Underfoot in Death Valley and Owens Valley. Missoula Montana: Mountain Press Publishing 1997. Varnelis, Kazys; Points of Interest in the Owens River Valley. Culver City, CA: Center for Land Use Interpretation, 2004. Wood, R. Coke; The Owens Valley and the Los Angeles Water Controversy – Owens Valley as I Knew It. Stockton CA: University of the Pacific, 1973. ‘Until Los Angeles’ was my working title of the drafts from October 2006 to May 2007 . ‘Infrastructure of the Void’ was the second working title and the one I’m still the most fond of. ‘Reconstructing the Void: Owens Lake’ was coined by Kazys Varnelis in the 20070820 Owens Draft. But the chapter has a longer history worth sharing. 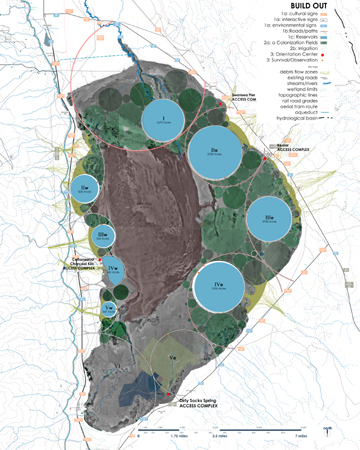 The chapter emerged from the research component from my MLA/MArch thesis, the design of an alternate dust mitigation system to restore Owens Lake and create a hybrid landscape for tourism and habitat. As a resident of LA for several years before grad school, I first visited the Owens Valley on a spur of the moment road trip on Memorial Day weekend in 1998. I looked at a map of California and pointed my car into the unknown of the Eastern slopes of the Sierra Nevadas and have been haunted by Owens Valley ever since. Then in summer of 2004, with the intent and dream of return to California, I initially choose the Los Angeles Aqueduct as my thesis topic. Through the arduous thesis proposal/approval process, the Owens Lake Playa became my focus and site. From the Complete Report on Construction of the Los Angeles Aqueduct, 1916. Another timeline – ending with Sustainable Sites Initiative! Spotted here.